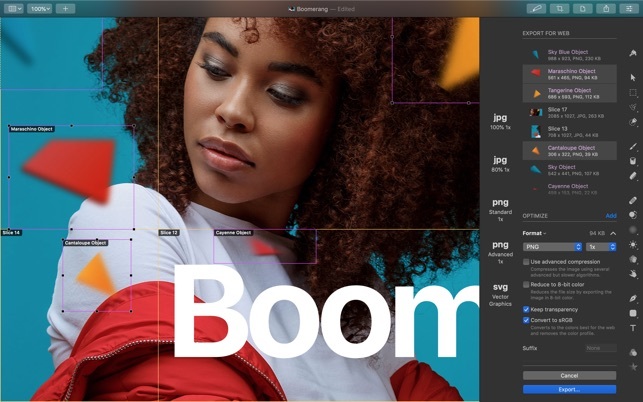 Pixelmator Pro is an incredibly powerful, beautiful, and easy to use image editor designed exclusively for Mac. 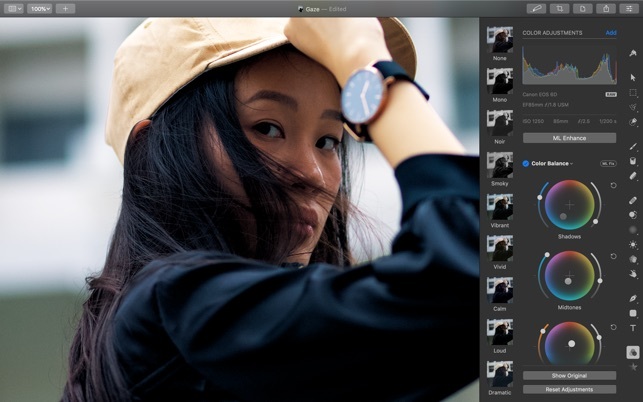 Designed exclusively for macOS, Pixelmator Pro supports almost every major macOS feature and integrates seamlessly with macOS Mojave. 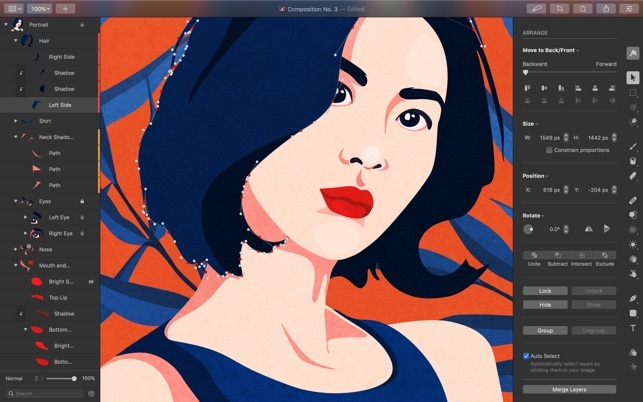 Pixelmator Pro requires a Mac compatible with Metal 2 running macOS 10.13 High Sierra or later. 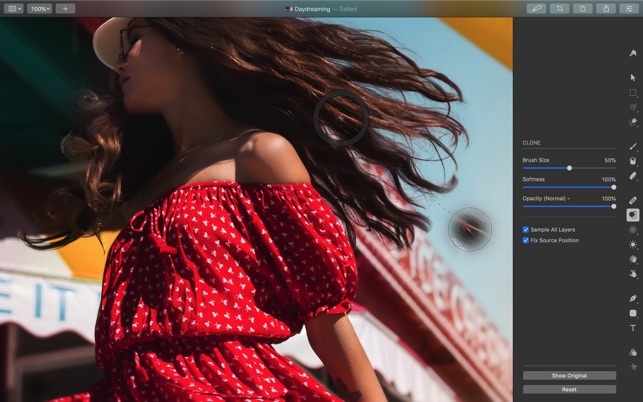 • Thanks to Portrait Mask support, Pixelmator Pro will now open photos taken in Portrait mode on iOS 12 together with a layer mask. 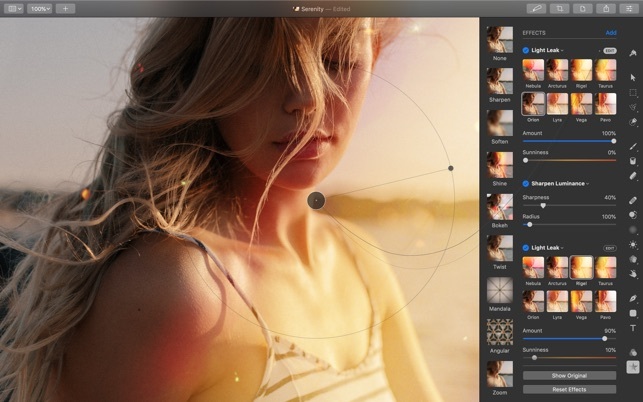 • Pixelmator Pro will now always use tabs by default and remember your window size and position for all new documents. • Use the new Comics effect to quickly apply a comic book-style to any image — you can find this effect in the Stylize category. • A number of new keyboard shortcuts make it easier to select, organize, and duplicate layers. • Press the Slash (/) key to quickly lock and unlock layers. • Option-Left bracket ([) and Option-Right bracket (]) let you select one layer up and down. • Option-Comma (,) and Option-Period (.) let you select the top and bottom layer. • Option-Arrow will now duplicate layers and move them by 1 pixel. Option-Shift-Arrow will duplicate and move by 10 pixels. • Option-clicking a layer’s visibility icon will now hide all other layers. 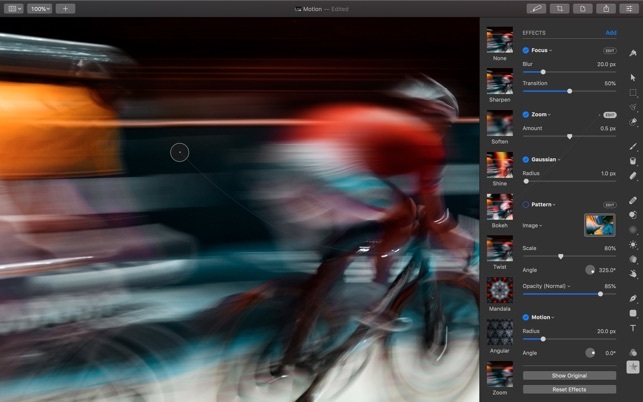 • Zoom performance improvements speed up zooming in documents with many layers. • Pressing the Return key while drawing a path will now close the path. • Converting text to shape is now much (much) faster. • The Repair tool progress bar will no longer be shown when making quick, small repairs. • The Brightness adjustment is now more precise in images with extreme tonal ranges. • Previously, the Channel Mixer used our perceptual color model to make prettier adjustments. Since it’s more of a functional adjustment rather than a creative one, it now mixes channels purely mathematically. • Changing the rulers’ origin will now update the grid to match the new rulers. • Pressing and holding the Shift key while changing the rulers’ origin will now snap it to the grid and objects in your composition. • When you add a new, untagged layer to a tagged group, it will be assigned the group’s color tag. • Attempting to use the Color Fill or Gradient Fill tools on text or shape layers will now create an empty new layer and fill that instead of doing nothing at all. • Added an Add Guide command to the View menu’s Guides submenu. 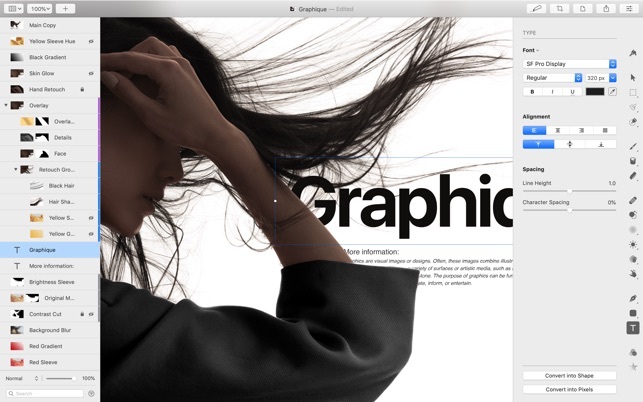 • Whenever possible, Pixelmator Pro will try to preserve the font face when changing font family. • Improved compatibility with certain kinds of text layers in Photoshop documents. • The orientation of masks in Portrait images exported from the Photos app would be incorrect. Fixed. • Using the arrows in the Arrange tool, it was sometimes possible to resize layers to an invalid size. Fixed. 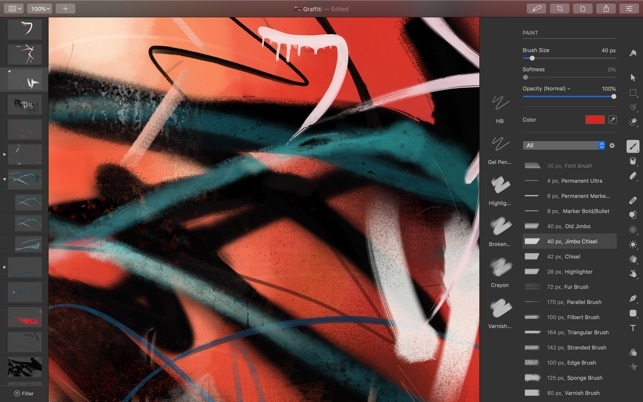 • Attempting to add effects to extremely tall and narrow layers would occasionally cause Pixelmator Pro to quit unexpectedly. Fixed. 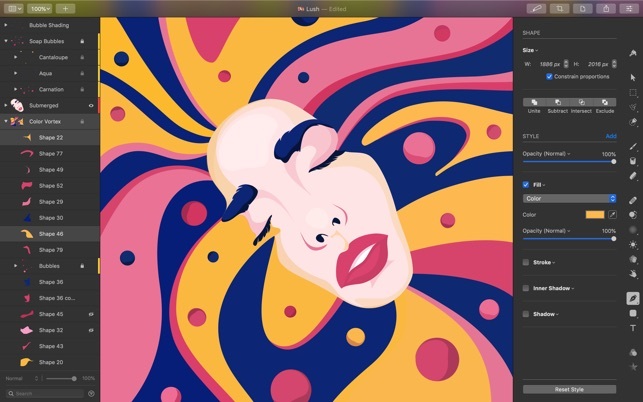 Have any feedback about the update or Pixelmator Pro in general? 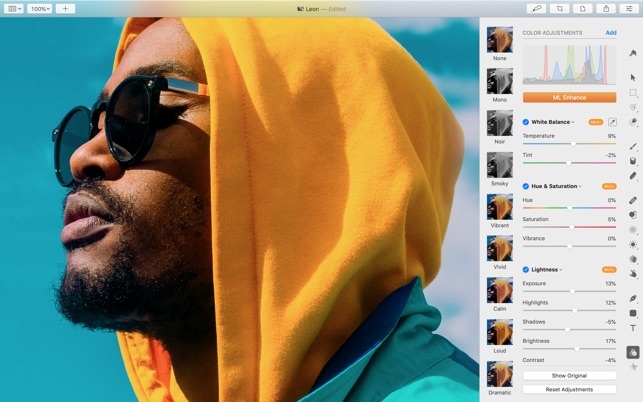 We’d love to hear it at support@pixelmator.com!